Santorini and Mykonos are two of the most famous and beautiful Greek islands. When visiting Greece, it is highly recommended to travel to both of these islands! If the task seems difficult, there is no need to worry... Ferryhopper is here to help you find all possible connections between them. 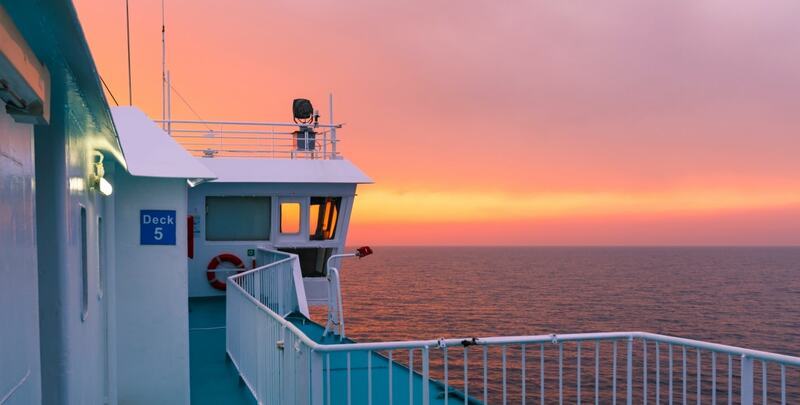 The section below, summarizes last season's data for the ferry trips, including price ranges, the minimum trip duration for each of the companies operating on this route, the schedules frequency, and the earliest and latest itineraries. How often do ferries connect Mykonos to Santorini? The ferry connection between Mykonos and Santorini is seasonal and usually operates from the end of March up to the end of October. There are many ferry companies and many different ferry boats connecting Mykonos and Santorini. Most of them announce their ferry schedules usually in the first months of each year (January or February). During high season (summer months), there are ferries going back and forth every day, with the earliest being at 9:50 in the morning and the last 18:35 in the afternoon. The time schedules may be altered a bit and you should expect some minor delays as the ferries are calling also at intermediate ports. How long is the ferry ride from Mykonos to Santorini? The islands are quite close to each other and if the weather is good the average duration of the trip is 3 hours and 15 minutes. Depending on the ferry, the trip can be only 2 hours! If you are interested to do a day trip be sure to book the fastest ferry to enjoy your stay. Travelling to the Greek islands is priceless, but if you do not want to pay the highest price you should be careful. Ferryhopper offers you all the different options, in order to find the cheapest solution. The ticket cost can be up to 70 euros, with the lowest price being around 30 euros, always depending on the ferry operator and the specific ferry boat. The distance between the two islands is equal to 72.62 miles or approximately 63 nautical miles. Which port of Mykonos do I depart from when travelling to Santorini? Mykonos has two ferry ports, the "Old Port" and the "New Port", both located at the outskirts of the main town (Chora), and at a distance of one kilometer with each other. The Old Port is usually used by smaller ferries, while the larger ones (conventional and large catamarans) use the "New Port". As this may change due to weather conditions or ferry traffic, we suggest that you confirm the departure port of your ferry with the local agent or the port authorities. Which is the port of Santorini that I arrive at? Unlike Mykonos, Santorini (or Thira) has only one port that serves passenger ferries. The name of this port is Athinios and it is located on the middle-west side of the island. If you would like to organize a daytrip from Mykonos to Santorini, you can take one of the early ferries and, in a couple of hours later, arrive in the port of Santorini, which is called Athinios. You can begin your day by walking down the Caldera Area, near to the port. Visiting one of Santorini’s unique beaches is highly recommended and given the fact that you are on the volcanic island only for a day, Monolithos beach is the right choice. It combines sandy coast and traditional fish restaurants, where you can enjoy Greek treats under the Aegean sun. For more information on Santorini you can check our related blog post. Should I book ferry tickets from Mykonos to Santorini in advance? Even though there are plenty of daily itineraries on this route, the ferry tickets for the summer period get sold out quite quickly. Thus, the most important thing if you really want to visit both islands is to be “on time”. We advise you to book your tickets at least three months prior to your trip. Ferryhopper is here to help you find all the possible options; it is up to you to choose the perfect one and book it while there is still availability. In Mykonos, the departure port of your ferry might change at the last minute, due to high traffic or windy weather. It is always a good idea to cross-check with the port authorities’ personnel on the day of your travel. The port of Mykonos gets really crowded during high season. Make sure to arrive there at least one hour prior to your scheduled departure. As mentioned, the ferry connection from Mykonos to Santorini is seasonal. Thus if you are an early bird and you are searching for this connection a lot earlier without getting results, please don't get disappointed. Just check for the ferry itineraries a bit later.